With the hype of Marvel’s Thor 2 happening last week, you probably didn’t hear about Marvel’s other big news. 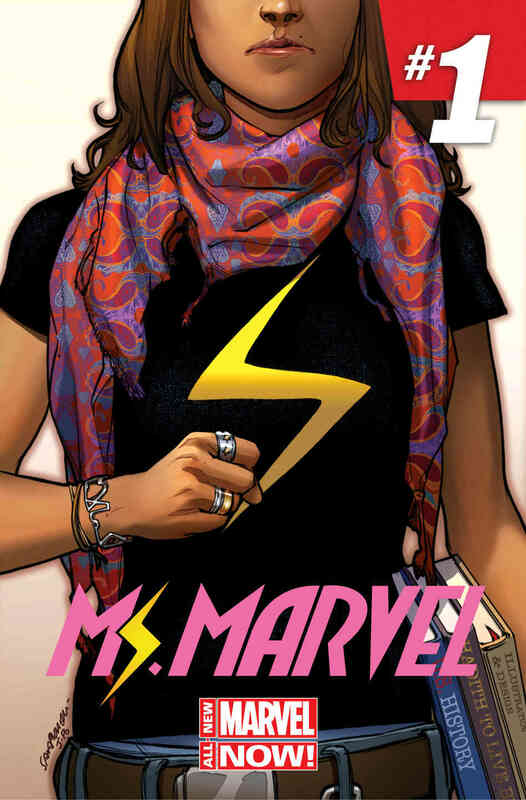 Early next year Marvel will be introducing a female Muslim superhero who will take up the Ms. Marvel name. In case you missed it Marvel plans to launch a new series centered around Kamala Khan, a teenage Muslim from New Jersey. There is no news yet as to how she obtains her superpowers but once given she takes the name Ms. Marvel after her personal hero the previous Ms. Marvel, Carol Danvers..While the team is prepared for any kind of negative comments they are also prepared for comments from Muslims who would want the teenage superhero to be shown in a certain way. Ms Marvel’s writer G. Willow Wilson has an extensive background in Islam and its editor Sana Amanat is Muslim-American. Kamala’s appearance into the Marvel universe is groundbreaking in the sense that she is the first Muslim character to have her own series. However, Kamala isn’t Marvel’s first Muslim superhero. X-Men fans should remember Dust, an Afghan woman whose ability allows her to control sand and dust. Along with M (Monet St. Croix) who has a wide set of superpowers such as super strength, speed, and healing. With the first issue appearing in January the question now is, “will Kamala be accepted among readers”? Much of what makes a superhero appealing is how relatable they can be to the readers. The hero’s personal stories and struggles are what connect the reader to the hero. How will readers connect to Kamala’s struggles as a teenager and through the lens of a Muslim? Which ever way Marvel fans decide to react to the new Ms. Marvel there is no denying that is a great step forward to adding diversity into the Marvel universe. Personally, as a Marvel fan I am very excited to pick up this series in January and welcome Kamala with open arms into the Marvel Universe.